Comfort House Blog: Is Your Number Up? Everyone is aware that time is of the essence when responding to an emergency. The loss of even a minute or two in providing life saving interventions, be it defibrillation, medication or airway control can be the difference of life or death. To provide appropriate care, of course, the Emergency Medical team must first find you or the patient. During the day that is usually pretty easy since house numbers are normally readily visible on the front of your home and Comfort House has an extensive selection of shapes, sizes and styles of address numbers to fit these needs. 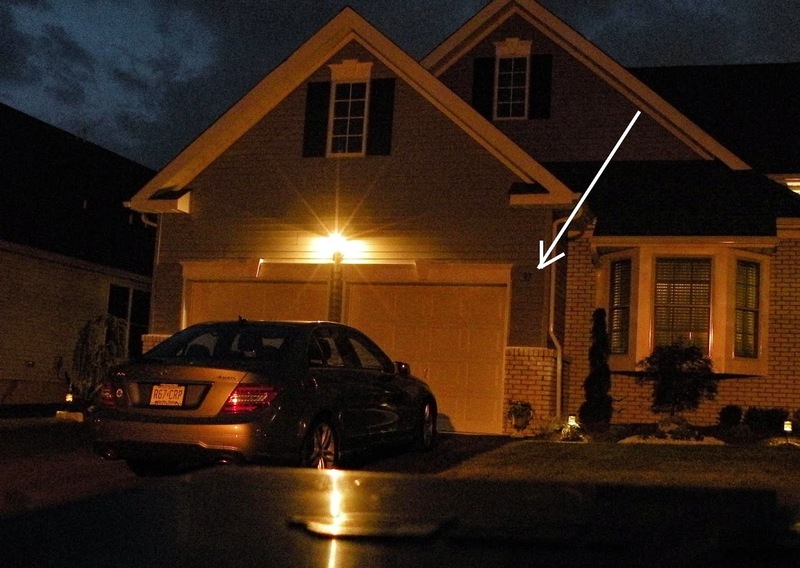 At night, however, due to the design of your home, it may be almost impossible to see the number on the front of your house even when your front light fixture is turned on. If this is the case at your home, consider moving your numbers to a better location or choose one of the many styles of illuminated house number signs that are available from the Comfort House selection. Can you see the house number? Ever had friends stop at a neighbor’s house to ask were you lived because they couldn’t find your house number? Even something so simple as a pizza delivery person finding your address may be almost impossible and could result in a cold pie. Many towns and cities have an ordinance defining the minimum size in inches of height for house numbers. Depending upon the area, this minimum is usually between 3" and 6”. Check your local requirements when re-doing your numbers and then meet or exceed the minimum. Remember, the larger the better, but obviously consider the aesthetics of your particular situation. It makes sense that numbers should be placed on or beside the front door if they can easily be seen from the roadway. If your door does not face the street, attach the numbers to the side of the house facing the street or to a permanent fixture like a post or fence near the street. If on a post or fence keep surrounding vegetation trimmed away since what starts as highly visible in the spring may be invisible by mid-summer. If you have a rural-style mailbox on the street, make sure to place large numbers on each side of the box so vehicles approaching from either direction can see them. Make sure your numbers are of a contrasting color to their back ground for good visibility. Pretty pastels may not be visible from the street. If night time visibility is a concern, consider reflective or illuminated numbers. Theme images by Anna Williams. Powered by Blogger.